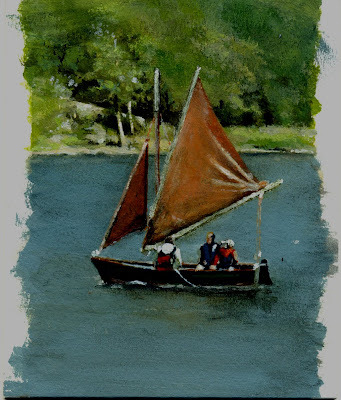 This is Ullswater in the Cumbrian Lake District, the brown sails are a tradition around those parts - you should read Arthur Ransomes 'Swallows and Amazons' if you ever go there, it brings the book to life. Beaitiful work, did you made it with pastels? one of my favourite books. ever. I see this and I realize I cannot paint at all. I really am an amateur. This is simply wonderful.